In 1992, there were reportedly 1,300 speakers of the Kutang Ghale language living in the northern Gorkha District of the Gandaki Zone in central Nepal. They inhabit the Buri Gandaki Valley, from Nyak northward to and including the village of Prok. The Kutang Ghale inhabit villages up to 4,100 metres (13,450 ft.) above sea level. The authorities in Nepal do not acknowledge any of the three distinct Ghale language groups; they have, rather, included them as part of the large Gurung ethnicity, which numbered more than 449,000 people at the time of the 1991 census. Although there are definite historical and cultural links between the Ghale and the main body of Gurung people, their languages are markedly different. Linguistic research into the Kutang Ghale language, which is part of the Tamangic branch of Tibeto-Burman, has found that Kutang Ghale shares only between 39 per cent and 49 per cent lexical similarity with Southern Ghale, between 45 per cent and 61 per cent with Northern Ghale, and only 18 per cent with the variety of Gurung spoken in the Banspur area. By way of comparison, English and German share a 60 per cent lexical similarity. When people from one Ghale group try to communicate with other Ghale people they cannot, and they must revert to Nepali to be understood. 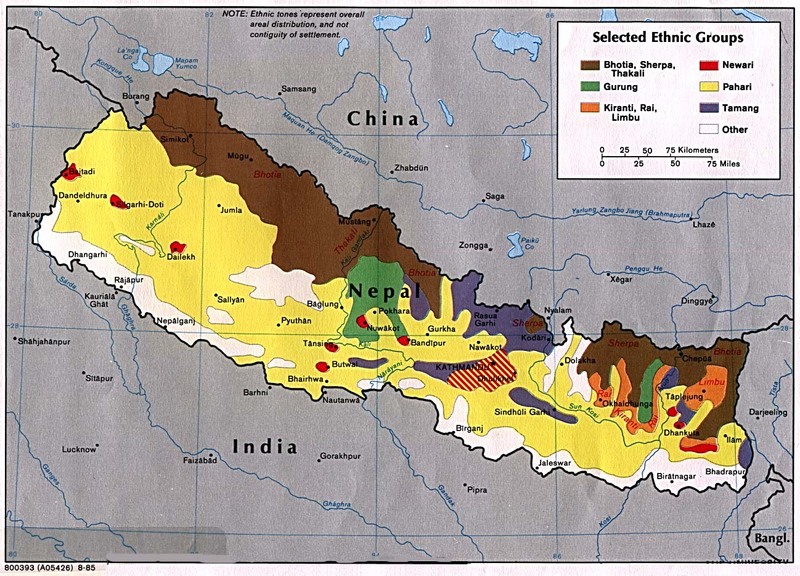 There is surprising diversity even among the three reported dialects of Kutang Ghale (Bihi, Chak and Rana). These three dialects reportedly share only a 62 per cent to 76 per cent lexical similarity with each other. The Kutang Ghale call their language the 'thieves' language' because they think they have stolen vocabulary from many other neighbouring languages. The Ghale languages were studied by the Christian missionary Larry Seaward between 1971 and 1973. He compiled a 276-page Ghale dictionary, which has not yet been published. The term 'Ghale' therefore refers to a ruling class of Gurung people, who appear to have come from Tibet at a different time than the Gurung and brought with them a different language and different customs. There are also historical records of Ghale rulers among the neighbouring Tamang tribe. 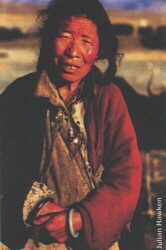 All Kutang Ghale people believe in Tibetan Buddhism. They have their own lamas, and their ceremonies and rituals are all Buddhist. There are no known Christians among this ancient and intriguing ethnic group. View Larke in all countries. Location in Country: They inhabit villages in the North Gorkha District of the Gandaki Zone in central Nepal.